This is the most common plywood product, made of softwood veneer, usually fir. The layers are stacked at a right angle to each other and glued together with resinous glues. Softwood plywood usually comes in 4’ x 8’ sheets, although 5’ x 5’ sheets are also available. A large number of grades are available, depending upon the intended application. Please see the page on CDX plywood for an explanation of the grading system. Softwood plywood is used most commonly in the building trades for wall and roof sheathing and for sub-floors. It is also used in construction of crates and boxes. Due to its ready availability, softwood plywood is an excellent choice for homebuilding and do-it-yourselfers. Most commonly used for cabinet and furniture making, where a smooth, attractive surface is required for finishing. Hardwood plywood is manufactured the same as softwood plywood, except the exterior layers (face and reverse) are made of hardwood. Common hardwood plywood available includes: ash, oak, red oak, birch, maple and mahogany. It is typically AB grade plywood. Essentially the same thing as Hardwood plywood, some people prefer this term. Generally speaking, the term cabinet grade plywood is used to refer to ash and birch hardwood plywood. Designed for use in the construction of boats, marine plywood is specially treated to resist rotting in high-moisture environments. Marine plywood is manufactured with no core gap caused by cracks or knotholes, to prevent water from becoming trapped in those voids. Water Boiled Proof (WBP) glue, similar to what is used on exterior plywood is used to bond the layers together. This feature certainly affects the price. Marine plywood costs about three times the cost of standard plywood. This product is not very common and is reducing in popularity. It is used in cases where the edges of the plywood cannot be concealed by other wood trim or need to be routed. 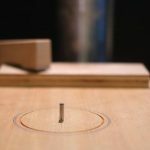 This is usually a three-ply plywood, the outer veneers being hardwood and the inner layer being made of a number of strips of solid lumber, typically basswood. When selecting lumber core plywood, take care to insure that there are no voids in the core. 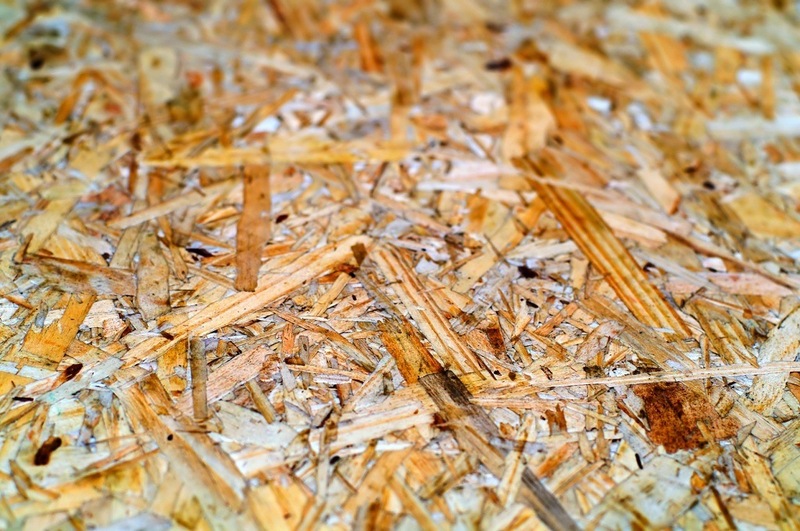 Particle board is made of sawdust, shavings and tiny pieces of wood which are mixed with glue and pressed into sheets. It is the most economical, but the weakest of all sheet goods. Particle board is commonly used under laminates on countertops and for shelving. Most inexpensive furniture uses vinyl covered particle board for large surfaces, usually trimmed with solid wood. MDF differs from Particle Board in that it is created from individual wood fibers, instead of sawdust and wood chips. This creates an extremely flat board (flatter than softwood plywood made from veneers) consistent in material thickness and density, with no voids. Due to its very smooth finish, MDF is excellent for painting or vinyl veneer coating. MDF is slightly stronger than Particle Board and is taking over the furniture market from the latter. It has the greatest weight when comparing to other types. While most people see OSB as being an inferior product to plywood, building codes recognize it as being an equivalent material. Instead of being made of wood veneers, OSB is manufactured from wood chips or strands, creating about 50 layers in the average sheet, as compared to 5 or 7 in softwood plywood. It costs about 20 to 30 percent less than a comparable thickness sheet of softwood plywood. 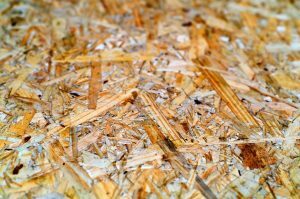 OSB is commonly used in construction, for sheathing, roof decking and subflooring. OSB is available in sheets up to 24 feet long. Otherwise known as “Russian Birch” is a plywood material imported from Russia, hence the name. It differs from domestic plywood in that it has a much higher number of plys (9 for 1/2” and 13 for 3/4”), making it very attractive for drawer sides and modern furniture applications. It is commonly used in applications with bullnose edges, where solid wood edging cannot be installed. Because it is manufactured to a different standard, Baltic Birch normally comes in 5’ x 5’ sheets, although 4’ x 8’ sheets are becoming more common. When looking at the price, Birch is definitely the most expensive type. This plywood product, like Baltic Birch is manufactured from a higher number of layers than standard softwood or hardwood plywood. It is made from uniform laminations of solid 1/16” Adler and Birch, both low density hardwoods. There are a minimal number of voids, and the high number of laminations provides an attractive edge for furniture and cabinetry which machines extremely well. ApplePly is available in thickness ranging from 1/4” through 1-1/4” in sheets up to 10’ long. Luan, Oak, Cedar, Maple, Phenolic, Spruce, Pine, Cherry, MDO and HDO plywood are described in detail on a separate page.